The first vodka based cream liqueur in the world with a delicate vanilla flavour and made with pure natural cream from Scotland including cream from the local herd on Shetland, the islands lying at the far North of Scotland. The Shetland cream will also include a small amount of cream from the local Shetland cattle, a small breed believed to have originated in Scandinavia along with the Norseman who settled these islands. They produce exceptionally creamy milk with high CLA and a rich, smooth taste. Combined with our own Shetland extra smooth Vodka, Jago's Vanilla Vodka Cream Liqueur has a sleek, surprisingly clean taste and is best served chilled. Some 250,000 people have now sampled Jago's and have received it with extraordinary enthusiasm. Young and old, male and female were raving about the taste and refreshing novelty and trying to buy whatever was available. Friends and neighbours were rounded up to come back for more!! 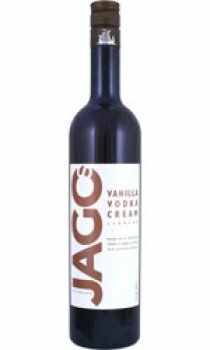 Ideal as an aperitif or over ice any time, a stunning 95% of our taste testers have voted Jago's Vanilla Vodka Cream liqueur their #1 choice in these taste tests. This appealing light colour and wonderful vanilla aroma from 100% natural vanilla stood out to people as a stunning combination that appeals to all and marginalised nobody. A particularly stunning drink that is compared to alcoholic ice cream! Our Jago's Vodka Cream liqueur is the creation of Tom Jago, involved in the creation of the of Bailey's: now the world's best selling cream liqueur and one of the top 20 global drink brands. He has also been involved in the creation of other famous brands. A simple idea, brilliantly executed to make a product that is startlingly fresh and innovative using the 3 highly popular ingredients of vodka, natural vanilla and cream. We discovered this drink last year here in Cyprus. Excellent!!! But can't seem to get it this year will have to order on-line.